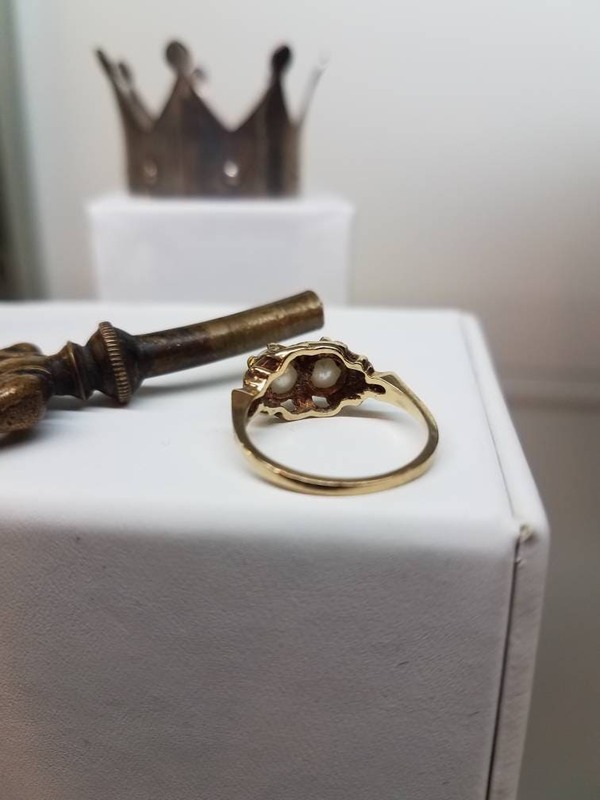 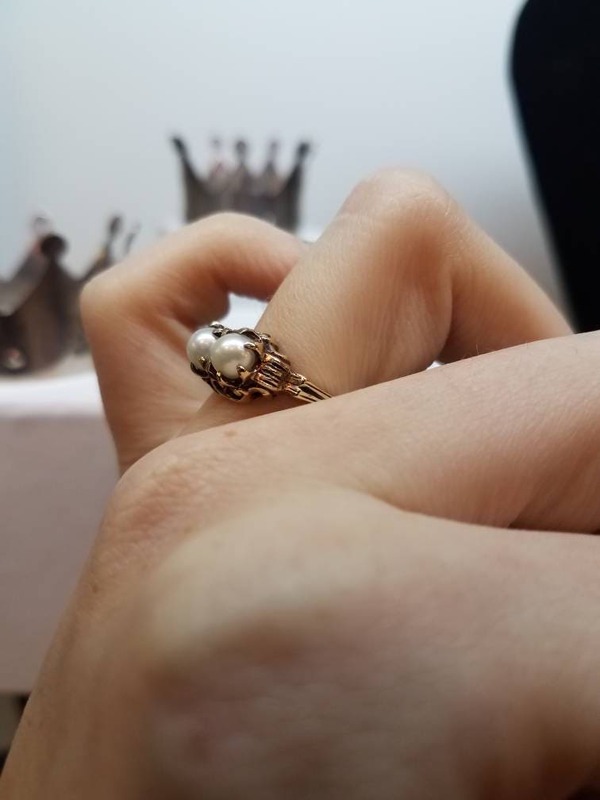 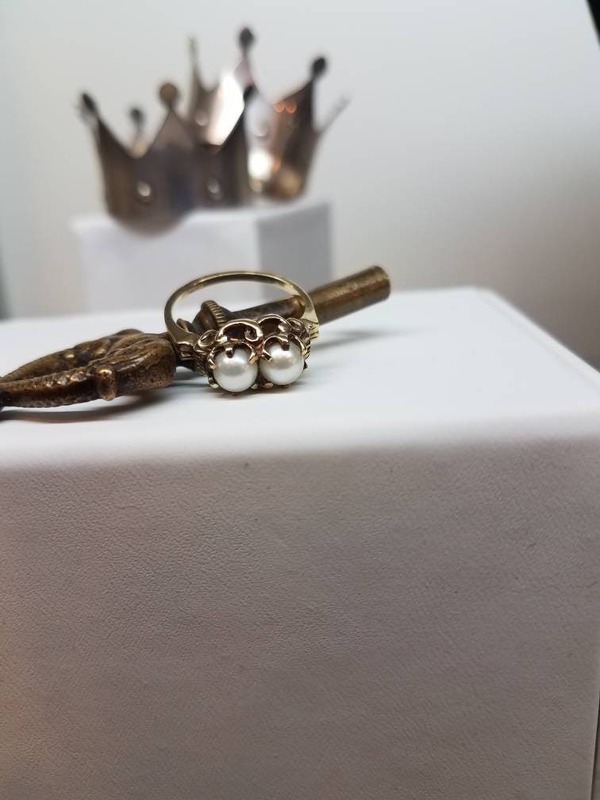 This Victorian ring is 10K yellow gold, with two pearls set in the center. 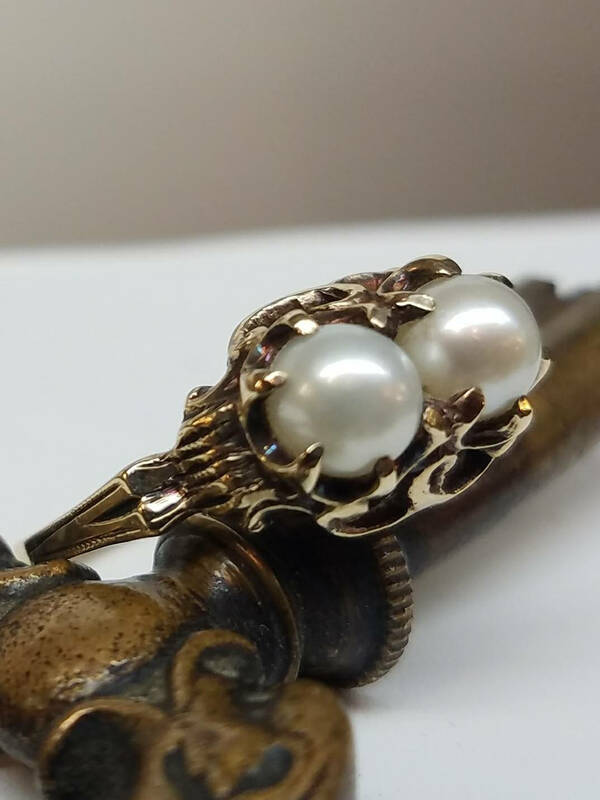 There is decorative work around both pearls, leading all the way down to part of the shoulders. 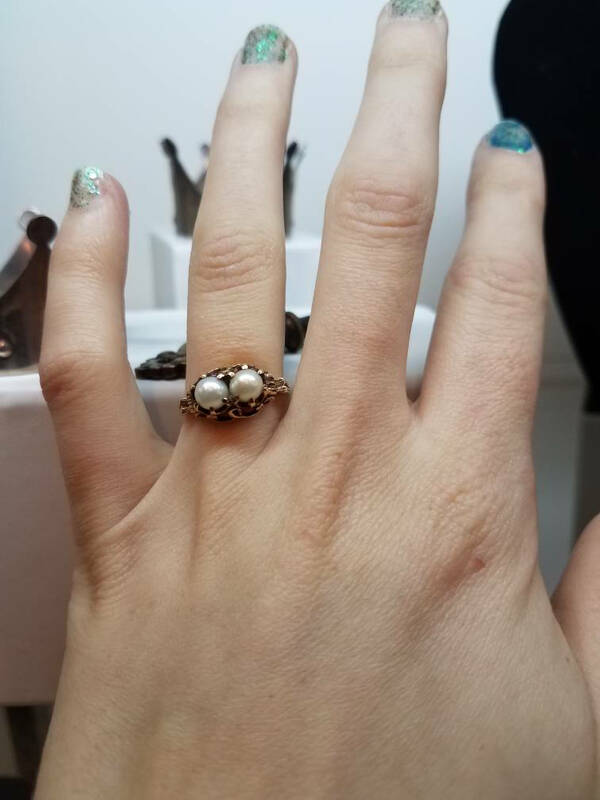 The ring is a size 6.5 and measures ~15mm by ~8mm, with ~7mm in height.